Booth：82B44 Time：2018/4/25~4/27 Add：Expocentre, Moscow, RussiaWelcome to OPWAY BoothFor more information,please visit our website:www.opwaytech.com. Booth：B26 Time：2017/3/30~3/31 Add：Dazhonghua Xiyue Expo Center,Shenzhen,ChinaWelcome to OPWAY BoothFor more information,please visit our website:www.opwaytech.com. 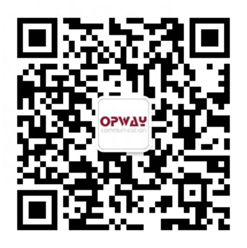 Booth：2459 Time：2017/3/21~3/23 Add：Los Angeles Convention Center, Los Angeles, California, USAWelcome to OPWAY BoothFor more information,please visit our website:www.opwaytech.com. Booth：F62-4-2 Time：2017/3/20~3/24 Add：Hanover International Exhibition Center,GermanyWelcome to OPWAY BoothFor more information,please visit our website:www.opwaytech.com.